WASHINGTON — In 1982, Howard Rosenman was told by a doctor that he had AIDS. He wasn’t so surprised — he spent much of the 1970s partying and “getting into trouble,” he admitted — and had seen enough people fall to this mysterious disease. “All my friends started to die,” said the Jewish American film producer and gay rights activist. Already successful in Hollywood — he had produced “Sparkle” and “The Main Event,” starring Barbara Streisand and Ryan O’Neal — he decided to give it all up. “I moved to Israel to die,” he said. Both of Rosenman’s parents were from Jerusalem, and he had spent extended periods of time there in his youth, including as a medic in the Israeli military during the 1967 Six Day War. Now, he was going for his final act. The only issue was that two years later, he hadn’t died. “How do you know?” Rosenman asked. Sure enough, Rosenman went to a doctor, who told him that, in fact, he couldn’t digest dairy. When the first HIV test came out a year later, in 1985, he got tested. That was a definitive moment in Rosenman’s life. Feeling that he had been given a second chance, he rededicated himself to a film career, changed his habits, and become an activist for LGBT rights and AIDS awareness. 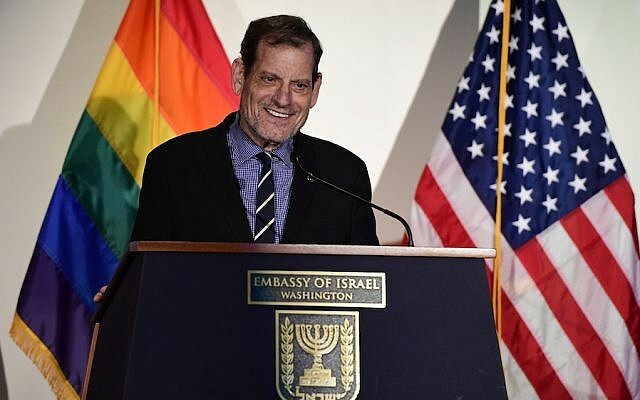 For his work in both spheres — as a film producer and advocate — he was honored recently by the Israeli embassy in Washington, DC for its annual Pride Month event. Once he found out he didn’t have AIDS, Rosenman started producing serious documentary films, like 1989’s “Common Threads: Stories from the Quilt,” about the NAMES Project AIDS Memorial Quilt, which won the Academy Award for Best Documentary; 1995’s “The Celluloid Closet,” about the history of LGBT portrayals in cinema history; and 2000’s “Paragraph 175,” about gay men and women who were persecuted by Nazis. Yet the ultimate culmination of his career — the film that amalgamated his thematic interests, the one he felt was “most personal” to him — came out last year. Rosenman was the executive producer on “Call Me By Your Name,” the 2017 film about a gay romance between two young Jews. 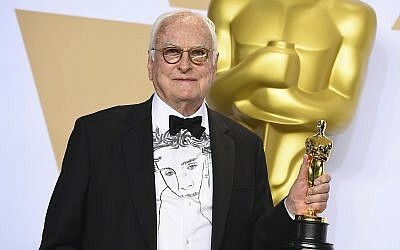 What began as a smash on the film festival circuit was later nominated for Best Picture, and won the Oscar for Best Adapted Screenplay for James Ivory’s script. The film is based on the novel of the same name by Andre Aciman. It was Aciman who first brought his book to Rosenman’s attention, wanting him to turn it into a movie. The film, which Rosenman made for $3.5 million, then took 10-and-a-half years to get off the ground. After it premiered at the Sundance Film Festival last year, Sony Pictures Classics bought it for $6 million. After the box office release, the film grossed more than $41 million. The movie’s most famous scene, which is more than a tad redolent of Philip Roth, involves one of the main characters, played by Timothee Chamolet, masturbating into a pitted peach. His love interest discovers what he’s done and then tries to eat it — before Chamolet’s character stops him. The film’s creative collaborators then had “a long discussion” about how to handle that sequence, ultimately deciding to have the young man come ever so close to biting it, but stopping short once his love interest begs him not to. Rosenman likened that moment to the famous murder scene in Alfred Hitchcock’s 1960 film “Psycho,” when a character is stabbed to death in the shower, but none of the actual mutilations take place on the screen. “You leave a lot to the imagination,” he said. In a big way, Rosenman’s long film career began in Israel. In 1967, he was in medical school at Hahnemann Medical College in Philadelphia. Just before the Six Day War broke out, he volunteered for the Israeli army. He stayed through the war, in which he was mostly stationed in the Gaza Strip, and had a fateful encounter after it ended. 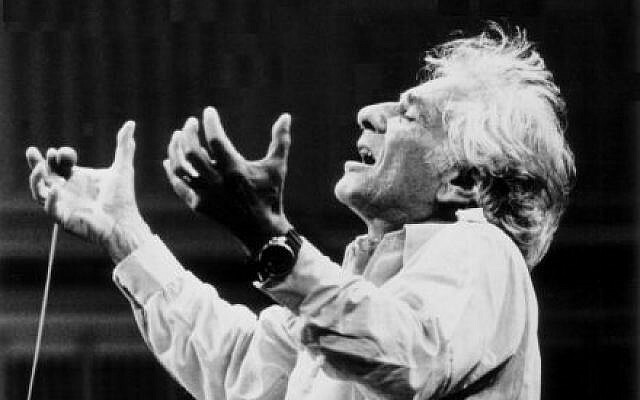 Almost one month after the IDF captured the West Bank and East Jerusalem, the Jewish-American composer Leonard Bernstein came for a historic concert on Mt. Scopus, where he completed Gustav Mahler’s Resurrection Symphony. Before the show, Bernstein ran into Rosenman in Jerusalem, he said. Says Rosenman: “He saw me and said, ‘Oh my God, You look just like a guy I know who was a waiter at a discotheque in New York.’ And I said to him, ‘Maestro, I was your waiter.’ Whereupon he gave me four tickets to the concert.” Rosenman, who grew up in Brooklyn, took his Israeli parents to the show. 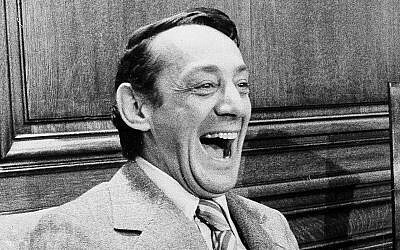 He came back to Philadelphia months later and, in the middle of observing an amputation, he decided Bernstein was right. He told the school he was taking a leave of absence. He then called Bernstein, who introduced him to Katherine Hepburn, who hired him to become her assistant on the musical “Coco.” And that was what launched his career. Rosenman still travels to Israel frequently. He has one sister there who is now ultra-Orthodox. At the embassy’s pride event, he spoke about his relationship with the late Harvey Milk, the first openly gay elected official in California history, who was assassinated in 1978 by a fellow member of the San Francisco Board of Supervisors. Also honored was Stuart Milk, his nephew. 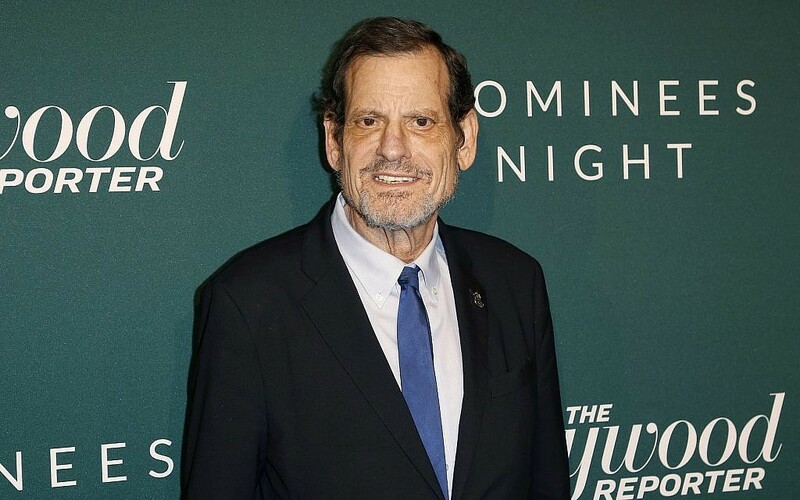 Yet looking back on his career, Rosenman said it was his producing the movies he wanted to be make, regardless of whether they meshed with commercial trends at the time, that he’s most proud of — particularly the ones that helped break stereotypes and ameliorate stigmas about people like himself.